Meet Hope, a model for the Spring 2018 Fashion Heals runway. 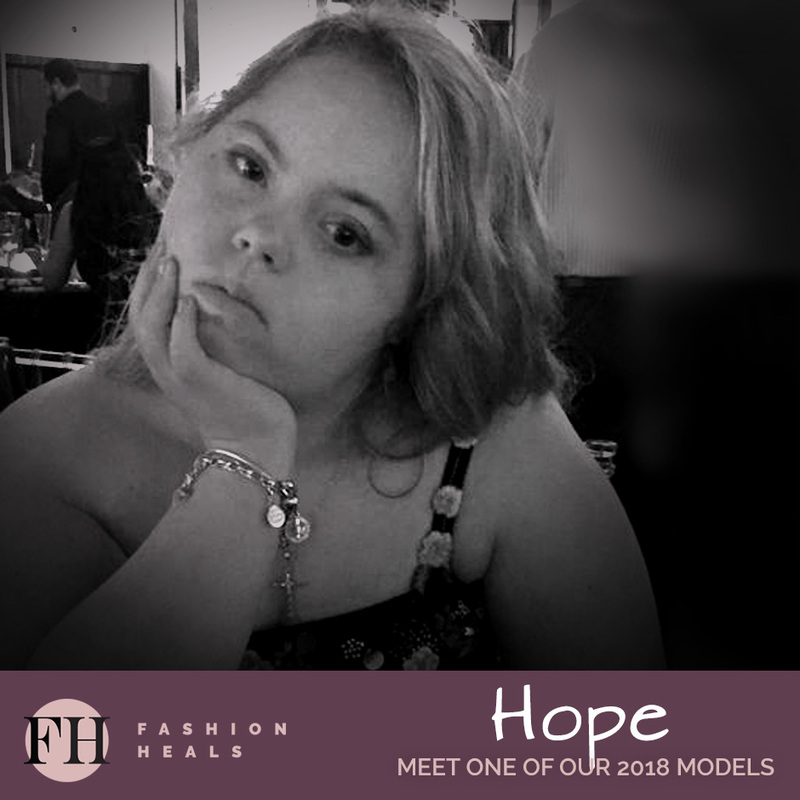 A veteran SickKids patient, Hope is one of over 40 models that will walk the official Toronto Fashion Week runway with Fashion Heals on February 7, 2018. Fashion Heals shines a spotlight on patients, families and healthcare providers with a mission to raise funds for The Innovation Grant for Pediatric Cancer Care and Research at SickKids. Donate today to make a contribution and join us for an evening of fashion and fun at the Spring 2018 Fashion Heals Runway Show to support inspiring people like Hope. It hasn’t been an easy journey for Hope and her family. Hope has been a patient at SickKids for 14 years due to complications associated with Down Syndrome. Now, at 17, she is a veteran patient after years of appointments, endless procedures, and multiple surgeries. Hope will walk the official Toronto Fashion Week runway at Fashion Heals on February 7th, with her father by her side. We had a chance to sit down with Hope’s mom and ask her about their families participation in Fashion Heals. 1. Why do Hope and your family want to participate in Fashion Heals? We want to support a hospital that has been vital to our family, Hope’s well being and the lives of countless children. SickKids has given us a firm footing in an often unstable world for us and for Hope. 2. What is your most memorable experience at/with SickKids? The call we received yesterday! SickKids told us that Hope does not have to have a potentially life-risking surgery. Yeah! 3. What sits on the top of Hope’s bucket list? To have a chance to sing on, and to be an audience member at, The Voice. 4. Based on your experiences at SickKids; if you were to give yourself advice as a child, what would it be? Love every inch of you and believe in your worth. 5. What book has influenced you the most? We can not wait to see Hope and her dad walk the runway on February 7th! Be sure to join us for an evening of fun, stories, and inspiration. Tickets are available here.